The invading Spaniards believed they were superior to us. Because of this, they did not attempt to fully understand our culture. This point is obvious when we look at the origins of the words Mexicanos, Chile, Pozole, Papalote, and Atole. The correct spellings of these words are Mexica, Chilli, Pozolli, Papalotl, and Atolli. The Spaniards were thus too lazy to pronounce our words correctly and instead replaced the li and tl endings with e. Because they could not pronounce the sound sh, they replaced it with x, signifying an unknown sound. If of course the Spaniards never developed a full understanding of our language, there is no reason to assume that they understood our culture either. Combine this with the fact that the Spaniards were attempting to demonize us and we get a mixture of half-truths and lies. The most blatant lie the Spaniards perpetrated was the claim that we sacrificed. First of all, it should be made clear that we did not worship gods as the Spaniards have claimed. How then is it possible for us to sacrifice to the gods? When the Spaniards arrived, they had no idea about atomic theory or DNA, therefore it was inevitable that they would distort our culture due to their ignorance. The most striking fact is that today's "scholars" admit we had a sophisticated knowledge of the universe yet they continue to believe that we sacrificed. It is currently taught that our people did not know if the sun would rise and believed that by sacrificing people, it would assure the rising of the sun the next morning. The gods were so blood thirsty that they would actually withhold the rising of the sun without human blood. This is obviously absurd reasoning. Our people knew the exact location, degree, inclination, and time of every sunrise for literally years into the future. Yet they were supposedly unsure if the sun would rise every day? According to Kurly Tlapoyawa, there are only two accounts of human sacrifice ever recorded by the Spaniards; that of Hernan Cortez and his general Bernal Diaz del Castillo (We Will Rise, p. 148). It has been discovered however that these two accounts are false. Cortez and Castillo both claimed to have witnessed the sacrifice of their captured comrades atop the main temple in Tenochtitlan from Tlacopan. This feat was impossible however because the distance was much too great for anyone to see anything. These are the ONLY accounts of sacrifice ever recorded by a Spaniard yet amazingly, today's "scholars" continue to use these lies as undeniable evidence. Combine this with the fact that not one skeleton has been found with trauma to the chest plate of rib cage and the truth becomes clear. Archaeologists speak nonchalantly about the ripping out of hearts from the body by priests. Do they lack common sense? Cutting the chest plate open is a relatively easy task but getting through the rib cage is a almost impossible. One would require a saw to get through the rib cage and even then, it would take hours to finally get to the heart. Add the fact that Castillo claimed we sacrificed 60,000 people in 4 days and you get the mind boggling figure of 1 person killed every 6 seconds for 96 consecutive hours. As can be seen, common sense is all that is required to see past their lies (We Will Rise, p. 151-2). Another argument archaeologists like to cite is that of the skull racks. The skull racks in our society were used as a deterrent to crime. If a high official stole something for example, he/she would be killed and the skull would be placed on the skull rack. Imagine seeing your friend's skull on the rack; most likely you will try to avoid the same fate. It is true that the captured Spaniards were killed but it was not sacrifice to the gods but it was as a punishment. There were rules of war throughout Anahuak society that everybody adhered to. For instance, both sides were required to have an equal number of weapons and warriors and a battlefield was sought where no defenseless people would be hurt. The Spaniards invaded the city (punishable by death), did not share their weaponry with us (punishable by death) and killed innocent elders, women and children (punishable by death). This is the reason our warriors sought to capture the Spaniards because in our eyes, they were nothing more than criminals. Their skulls were then placed on the skull rack (We Will Rise, p. 150). It has already been demonstrated that the Spaniards did not have adequate cultural knowledge to interpret our actions. This is a critical fact because as anyone fluent in Nahuatl will tell you, our language is full of metaphorical speech. We don't say earth, we say "our sacred mother," we don't say poetry, we say "the flower and song," and knowledge is represented by "the black and red ink." There are images all across Anahuak of a hand holding a heart, a "priest" sacrificing a person by removal of the heart, and Xipe Totec supposedly wearing a the skin of his sacrificial victim. Anyone that isn't fluent in Nahuatl (most scholars) would inevitably add these images to their evidence. What appears to be undeniable evidence that we sacrificed at first, turns out to be simply representations of metaphors. The hand holding the heart represents our philosophy that states we should not live life as if we are immortal. Instead we should live every day as if it is our last because we never know when we will perish from the Earth. Our ancestors were thus not procrastinators which made it possible for us to achieve such greatness in a couple hundred years by the time the Spaniards arrived. We do not hesitate. We live every day basking in the beauty of our mother earth and in turn we are obligated to create beauty while we remain on the Earth. As for the images of priests sacrificing a victim in our artwork; this too can be explained by citing our metaphorical speech. The maguey is our most sacred plant. It provides us with fiber for clothing, sap for oktli, and the leaves have medicinal value. After a certain age however, the maguey's stump (what we called it's heart) got so heavy that the plant would fall over and die. To prevent this, the Mexica ceremonially removed the heart (the stump) of the maguey which provides our sustenance and ate it (consumption of the heart). This was graphically portrayed in our artwork because it was a very important task to undertake. And finally, the sculptures of Xipe Totec wearing an extra layer of skin can also be explained only by a full understanding of our metaphorical speech. Xipe Totec represents re-birth. In our language, the skin is said to grow onto our bodies the same way an animal grows it's own skin. Unlike us however, some animals shed their skin. To illustrate this idea of re-birth then, Xipe Totec was portrayed with skin "dangling" (in actuality, being shed). All one has to do is examine the evidence in order to realize human sacrifice did not exist in our society and that this idea was fabricated in order to demonize us in the eyes of the Spaniards. Only by learning Nahuatl and thereby learning to interpret all of our beautiful metaphors will we finally uncover the truth (We Will Rise, 148-53). Since the first man/female, herbs have been used for healing purposes. Even as forms of medicine changed throughout the centuries, plants continued to be the mainstay of country medicine. The methods and ideas on plant healing were passed down from family to family, and within communities. Thus tribes, clans, villages, towns, sometimes entire countries, tended to have similar styles of healing. Most of these plant remedies were based on local discoveries and pass along uses, so it is always interesting to note how many plants are used in exactly the same way. Chamomile for instance, is a digestive aid through out the world. Though most of the medical community ignores, perhaps even disdains, plant medicine as to old fashioned, plants are nonetheless the basis for some of the most effective drugs. For several thousand years the Chinese doctors used the Ma Hong plant. Later researchers extracted an alkaloid, ephedrine, from this plant. This is still used in many different ways, namely for relief of nasal congestion, bronchial coughs, and asthma. But unbeknownst to the general public, pharmaceutical firms continue to comb the more primitive places on earth to explore and define native folk medicine. They bring back various botanical specimens in the hope of discovering plants that can be successfully duplicated. With agile and skilled fingers, the tribesman applied the pulp to the Dutchman’s throbbing, aching hands. Within minutes the pain disappeared. Subsequent application of this fresh pulp not only controlled all pain, but eventually it eliminated the skin cancer this same treatment also proved effective for several Europeans who had similar skin cancers. Dr. Stecher was naturally excited that her colleague’s personal discovery. She carried large whole fruits with her to Switzerland; her home laboratory base the first results were outstanding. In the initial studies that were conducted by friends of the doctors, they found the fruit pulp did indeed control the artificially reproduced skin cancers of laboratory animals. Unfortunately, they did not get the same results when the fruit was chemically reproduced, and all future experiments were called off. Some plants cannot be successfully duplicated, and some plants, it seems, must be used only in its raw, fresh state. Willow bark, one of nature’s great anti-inflammatory and was used for thousands of years, even by the American Indian Tribes. But unfortunately consistent us of the bark affected the digestive system, and it became imperative that a substitute be found, or a chemical version. This duplication took over 50 years of investigation, and was solved by a clever scientist when he broke the chemical code by using the spirea plant family, instead of willow bark. He called his result aspirin, now one of the most used drugs on earth. The history of medicine and herbs is studded with fascinating plant discoveries from primitive cultures, and some of those discoveries have changed history and medicine. Ipecac, once used in homes as an emetic to disgorge poisons, once helped control the savage dysentery that pervaded Europe. Quinine, from the tropics, saved the world from malaria. Curare arrow poison, another tropic discovery, was used to control breathing during surgery. There are hundreds of such stories, to many to list here. Plants are effective medicine, but they aren’t the only answer for good health. I urge you to investigate the herbs and plants I write about here. Talk to a herbalist, Goggle for information. The herbs and remedies that I write about here are what I have used for myself. Even some of the vegetables we eat have healing properties and many of them started out as medicine. But again remember we are all different. Know what you are allergic to. Know what foods your system can tolerate. I am not a certified herbalist, or medical practitioner and I make no claims to be. I only write here to pique your interest. There are thousands of books available on the subject of herbs for both culinary and medicinal use. Know the herbs and foods you are using. What Wild Plants Are Edible? Henry Thoreau once said more than a century ago, “ There is a difference between eating and drinking for strength and mere gluttony.” He went on to say that he derived more substance from the swamps, which surrounded his native town than the cultivated gardens in the village. Some of the best foods in the world are free. Many of the vegetables that we grow today were once wild plants that our ancestors have domesticated over generations of time. Each time you go out from season to season and recognize more and more species of editable plant life, this knowledge can prove invaluable in an emergency situation. What comes to my mind when I mention an emergency situation is what it was like in the aftermath of Hurricane Ike with no grocery stores open nor any kind of traffic able to travel the roadways for days if not weeks in some areas. During this time, out and about, some of us were able to supplement our diet from some of the vegetation that survived Hurricane Ike. With the Hurricane Season spinning around every year in certain areas, you may want to consider becoming familiar with some of these "free foods". What other hobby can be such a pleasure with such little effort and produce a yield with such delicious results, such as fruits and vegetables. Each outdoor excursion becomes an opportunity for learning and discovery of more delicious and beneficial varieties. Virtually thousands of varieties of wild foods and medicines grow in the meadows, wastelands, woods, canyons and even our own front yard. Earnest Thomas Seaton once pointed out, “ No one truly knows the outdoors, until he can find with certainty a number of wild foods that furnish good food for mankind”. Plants like the wild carrot (Queen Anne’s Lace), coffee (Chicory), wild asparagus (milkweed), flour (Jack-in-the-Pulpit), are just a few of the plants that are available for food and medicines just right outside your front door. Now I know you thinking – why go to that trouble when the super market is right around the corner. True – but what if it wasn’t. What if you were lost in the woods or some remote area could you find these plants? True you may never be in that particular situation, and some of you may. I like the idea of knowing that if this happens to me that I could take care of myself and anyone that was with me. I enjoy picking the dandelions from my front yard for a salad. They add a new taste to a sometimes-boring salad. I would rather sit in my yard looking at the dandelions in my not so perfect lawn and seeing the food value than worrying about how to get rid of them. Besides they are a pretty yellow aren’t they? Dale's garden extends far a field of just outside my front door or the immediate surrounding boundaries.. Mother Nature’s “green thumb” far exceeds my ability and other gardeners I know. She makes it happen so effortlessly. Enjoy what She has to offer – become a part of it. You may be surprised at the pleasures you find. The Earth is a place where each species, tribe, or group creates new symbols of its values. Groups have territories. Mountains and rivers create natural boundaries, but so do language, symbols, and rites. The mountains, rivers, and valleys themselves are often given names that reveal their spiritual essence. Culture works in a dialectic. All types of cultures circulate vital force and consciousness in different ways. The thesis of a culture is its identity, how it distinguishes itself in tools, languages, and art. The antithesis is the tension created by differences in identity between cultures. The synthesis reveals how these tensions are resolved and integrated into a medley of values and cultural ways. A fourth phase, which I call paradox, is reached only where the values of a culture reach beyond differences, or even resolutions, to the source, the One. Whether expressed in sacred art, rite, or political action, paradox is a sacred act, a realization of the gift of a culture's endowment. It is a reciprocation that brings streams of renewal and creativity. Territory, or earth-mapping, is expressed through a dialectic as well. Territories can exist in isolation - such as a village in a desert or wilderness - or they can be tangent to each other, marked by political, racial, or cultural boundaries. The antithesis always emphasizes separation, the tension of differences. The spatial synthesis of a territory is in the concept of a commons or shared city-center where boundaries overlap. People of diverse nationalities and races may meet in a shared environment to which they all contribute. A paradox is revealed wherever the sacred is recognized as the real ruler of the land. This is called spirit of place. The spirits of place reveal the specific qualities of subtle energy in the landscape - how the dragon vein flows. They abound in rivers, mountains, trees, and caves. Their presence is felt in native, archaic, and ancient mythology. The Eskimos tell of Sedna, the Sea Spirit in charge of all sea creatures. 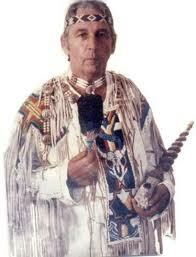 The spirits of the Earth and sky were invoked by the Iroquois, and through this invocation they found the wampum bird. The sylphs and gnomes of fairy tales, the devas that weave subtle energy and light into elemental energy and states, can wait out human mismanagement and direct the recovery of the world. But if we are to participate, we must ask them to share their power, and then listen. One way I envision the way to invite them to share their powers is to simply create a sacred circle, and invite them in to share, and above all, as stated, LISTEN.